Focusing on signage, look at the photo below. Zoom in on the blue sign on the door. That is a sign on a McDonald’s Restaurant in Brentwood, TN indicating this entry/exit door is acceptable as an ADA accessible door. This is a great example of doing ADA right! 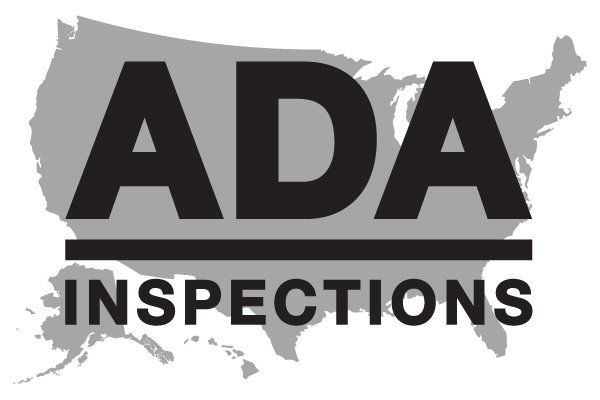 In the 2010 ADA Standards for Accessible Design, Standard 216.6, Entrances, states, “Where not all entrances comply with [Standard] 404, entrances complying with [Standard] 404 shall be identified by the International Symbol of Accessibility [ISA] complying with [Standard] 703.7.2.1.” Standard 404 applies to doors. And sure enough, not all exterior doors at this site are ADA accessible. More on that door signage in another blog. 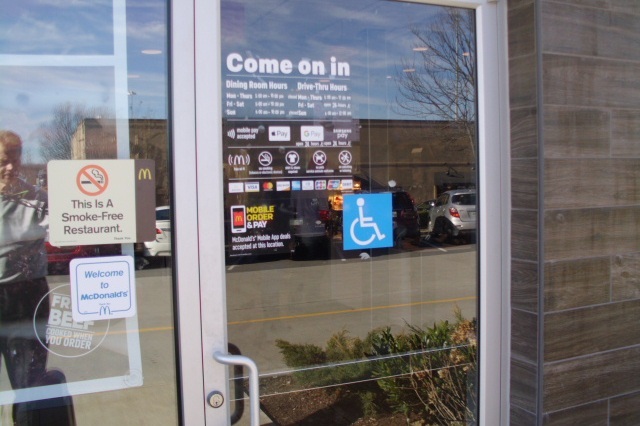 So at this site McDonald’s has done ADA right by placing an ISA sign on the exterior of the accessible doors. This McDonald’s may be a great candidate for the Certificate of Excellence program at ADAIN.